Have you ever thought that some women do not have SANITARY TOWELS because they are too poor and they do not mix with their own community when they are menstruating. It is a subject seldom talked about in their community. Did you realise that some women do not have KNICKERS or SANITARY TOWELS because they are too poor to buy such things? If they have no KNICKERS they cannot use SANITARY TOWELS. I discovered that in many places around the world women do not have this BASIC NECESSITY. Every month teenage girls cannot attend school. Old rags are used and washed as best as they can be BUT in MPONGWE there is no running water and urinary and uterine infection is always a risk. At first I was going to make reusable towels but with no water that was pointless. 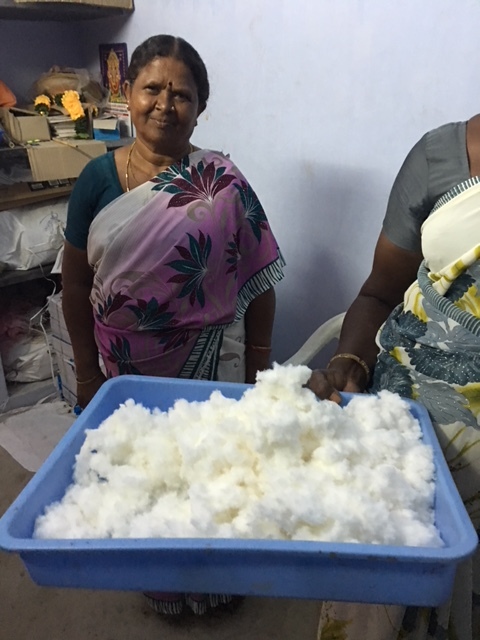 I discovered a man in India who has made an inexpensive, basic piece of machinery that can make SANITARY TOWELS in unsophisticated rural situations. 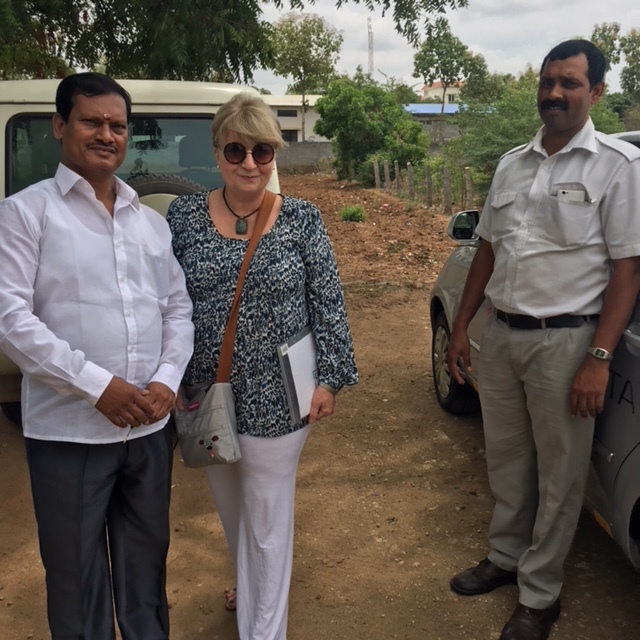 So I cancelled our summer holiday to Cornwall and went to India instead to meet Mr Murugananthum and see his machinery working. Once I saw that it could work I began fundraising. 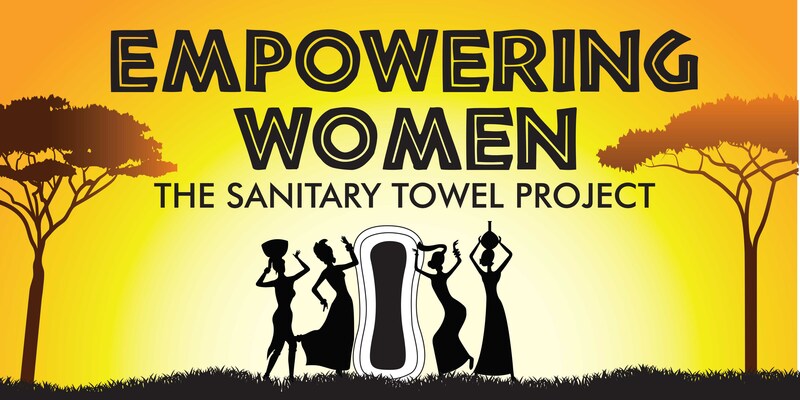 I launched a CROWDFUNDER in UK to build “THE EMPOWERING WOMEN SANITARY TOWEL FACTORY”. Then more fundraising followed, there was The Big Knicker Walk along Southend on Sea seafront with KNICKERS adorning everyone’s clothing, The Big Knicker Pop up Restaurant in my house, “An Evening of Poetry and Prose celebrating Women for International Women’s Day”. I have gathered supporters along the way. Huge thanks for those people who have given me generous donations. I am delighted to have met JOANNA LUMLEY. We have had many conversations and I am thrilled that she has generously contributed to the fund and is now my patron and she is passionate about what I am trying to do to help underprivileged women. www.KNICKERLADY.com has now handed the reins to The Mumba Children’s Project in Zambia, to plan, build and run “The Empowering Women’s Sanitary Towel Factory. We wish them good luck and hope that my original vision will come to fruition and change the lives of the women and through their endeavours, the lives of all the people in the village.